Yesterday morning, M. and I headed out into a frosty morning to participate in the Great Backyard Bird Count. Although people post bird lists from all around the world during this 3-day event, we took it the event’s title literally and constrained ourselves to just our yard, and my mother-in-law’s yard. 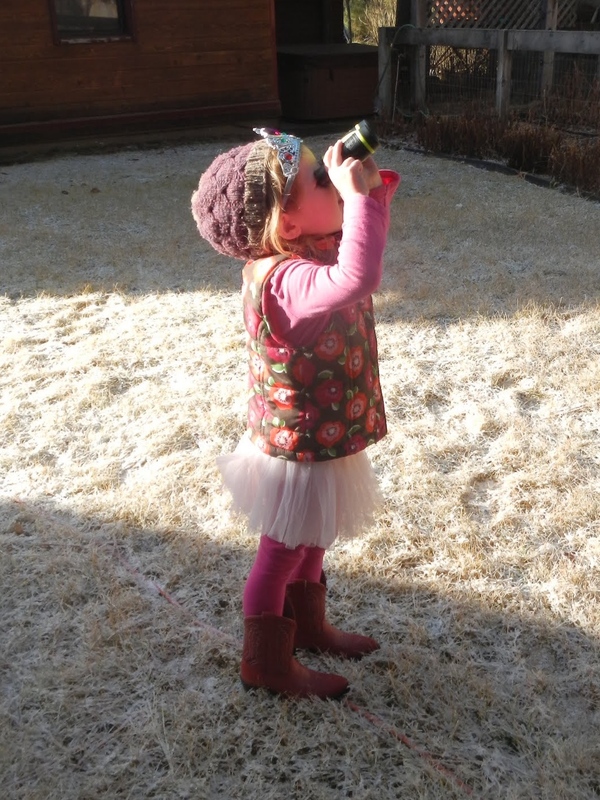 Last year it was A. who participated with me (in red cowboy boots, tutu, and crown over a wool hat, see below), but this year she preferred the toasty warmth of the house. M. bundled up and joined me this tie around. This year we saw mourning doves, of course, and had a small listing of our common yard birds (juncos, northern flicker, Steller’s jays, mountain chickadees). I don’t know many calls or songs, so we were limited to the birds that we could catch a glimpse of. 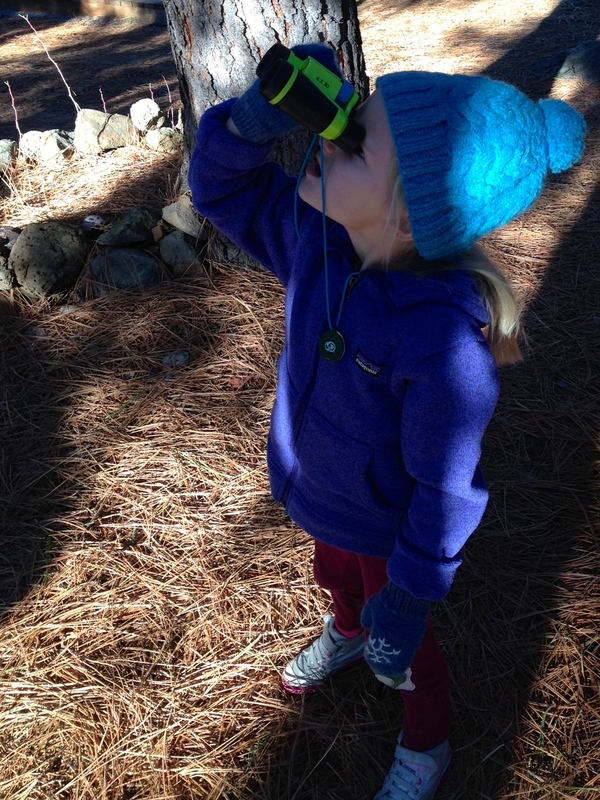 Just when we were about to hang up our binoculars for the day, we heard a rasping chatter from a tall fir tree. We looked up to see a flock of evening grosbeaks, unmistakable with their fat beaks and yellow coloration.